The Best Catholic Family Blogs from thousands of Catholic Family blogs in our index using search and social metrics. We’ve carefully selected these websites because they are actively working to educate, inspire, and empower their readers with frequent updates and high-quality information. Catholic Family newsletter is a comprehensive summary of the day's most important blog posts and news articles from the best Catholic Family websites on the web, and delivered to your email inbox each morning. To subscribe, simply provide us with your email address. Winona, MN About Blog Peanut Butter & Grace helps Catholic parents raise their kids in the faith. The mission of Peanut Butter & Grace is to help Catholic parents raise children to be saints—that is, people who love Christ and his Church and take action to continue Christ’s mission in the world today. We do this by providing digital and print resources that assist parents in forming their children in the faith within the daily life of their family. Facebook fans 9,975. Twitter followers n/a. Niagara Falls, Ontario About Blog Founded in 1994, Catholic Family News is a monthly journal dedicated to preserving the Catholic Faith of all time, "in the same meaning and the same explanation" as Catholic doctrine has been taught throughout the ages. We bring readers up-to-date on what is really going on in the Church and the world, and more importantly, how such events affect the religious rights of yourselves and your children. Facebook fans 2,730. Twitter followers 265. Facebook fans 12,255. Twitter followers 6,115. Southern California About Blog Hi. I'm Kendra. I am a catholic wife and mother of seven. I also double in teaching, reading, writing, cooking, baking, homeschooling and leading a catholic life. This blog is a place for me to share how we live. Facebook fans 16,258. Twitter followers 1,138. About Blog Welcome to Not So Formulaic! I'm Ginny - wife to Dan and mom to three great kiddos. I'm passionately Catholic, a Gifted and Twice Exceptional advocate, and a former high school English teacher turned homeschooling mom. Let's pursue the true, the good, and the beautiful as we break down stereotypes. Facebook fans 2,135. Twitter followers 286. Toronto, ON About Blog Celebrating Catholic Family and Faith with crafts, Catechesis and traditions! I am a wife, Mom of 5 kids, an author and a crafter and I think it’s cool to be Catholic. We offer beautifully designed, authentic Catholic teaching tools, captivating the attention of children and providing quality resources for parents and all educators in the Catholic Faith. Facebook fans 5,406. Twitter followers 773. About Blog Hi! I'm Lacy and I run Catholic Icing, a site devoted to bringing Catholic crafts and activities to Catholic kids. Facebook fans 51,674. Twitter followers 1,263. North Alabama About Blog Sharing the beauty found in the ordinary moments - planning, organizing, homeschooling, and living the Catholic faith. Facebook fans 2,203. Twitter followers 185. Virginia About Blog My name is Jennifer Gregory Miller, a wife of 14 years and mother of one 12-year-old son, and another son, age 8 years. This blog is just a casual recording of our daily ebbs and flows in our Catholic family and thoughts and ponderings along our journey and might include a little of this and that. Facebook fans 321. Twitter followers 138. About Blog I'm Rosie! Catholic mom of six. Learn along with us as we raise Catholic kids, dabble in homeschooling, discover the joys of parenting twins, and laugh at toddler antics! Facebook fans 1,215. Twitter followers 657. About Blog A blog designed to enhance the faith development of the domestic church, the Catholic family. Steubenville, OH About Blog Parenting is not a clean-cut, simple process for those who like to follow the rules. Parenting is messy and unpredictable, but it is the greatest adventure you will ever have. We are Mike and Alicia Hernon, parents of 10 children ranging from 2 to 20 and we would like to invite you into some of the conversations we have had with each other about parenting and Catholic family life. Facebook fans 1,616. Twitter followers 428. About Blog Everyone wants to be happy but to be really happy, you have to look at the right places. Follow this blog to learn the secrets to true happiness. Arizona About Blog A source of encouragement and inspiration for Catholic working mothers who are struggling to balance the duties of their vocations as mothers with the responsibilities of being wage earners, whether outside of the home or from the home. Facebook fans 663. Twitter followers 180. About Blog Share in the journey of a Traditional Catholic Homesteading family. We explore topics like: Homeschooling, Permaculture, Land Management Techniques, and more! We love the beauty of the Tridentine Mass, the truth in the teachings of traditional Catholicism, and look forward to the restoration and reunification of our faith. Facebook fans 146. Twitter followers n/a. Facebook fans 1,009. Twitter followers 1,245. About Blog Hi! My name is Chet. This is a personal blog focused on sharing my experiences and lessons learned in the married life. I’ve been writing here since 2013 with Alison, my wife, serving as my editor since the very beginning. Catholic Husband covers range of topics including fatherhood, Catholic life, and careers. All of these posts have been written with the intention of helping you to love, lead, & serve your family. United States About Blog Fear Not Little Flock is a priest's wife's blogabout spirituality, religion and family from a Byzantine Catholic's perspective. 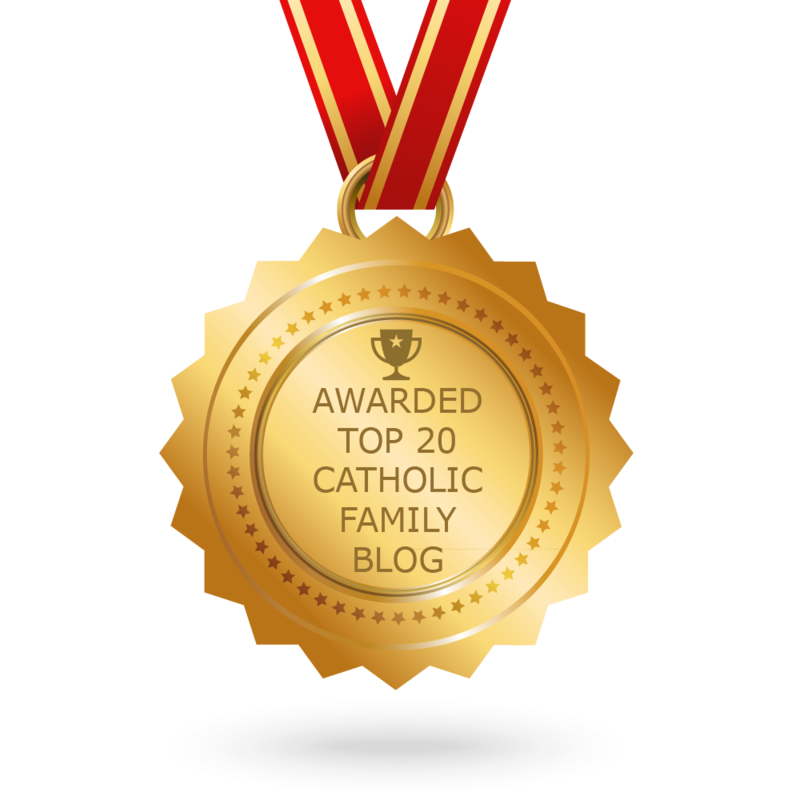 CONGRATULATIONS to every blogger that has made this Top Catholic Family Blogs list! This is the most comprehensive list of best Catholic Family blogs on the internet and I’m honoured to have you as part of this! I personally give you a high-five and want to thank you for your contribution to this world.